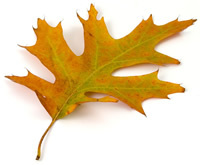 Levy Tree Care promotes tree health, including proper preventative maintenance and fertilization techniques. We have knowledge about insects and diseases that can afflict trees and have the services to protect the tree and save it. The following services are provided for the benefit of your trees and shrubs. Right From The Start – Is designed for young shade trees, allowing us to keep on top of its development in those formative years. Through root care and structural pruning we can reduce future maintenance costs and increase the life span of your trees. Fruit Tree Insects and Diseases – Whether you have a beloved old fruit tree or one that is a new part of your landscape, it always disappointments when a fruit tree and its fruit production suffer from insect and disease attacks. Specially timed chemical treatments and cultural activities can minimize and sometimes eliminate these problems. Cambistat – Is a soil-applied product that is absorbed through the roots. It gently slows the growth of a tree, allowing it to redirect some of its energy from its canopy to defense chemicals, fibrous root growth and other uses. It is used to slow down above-ground vegetative growth to help roots compete in turf and compacted soils. It is very useful to trees which need re-establish roots after being damaged during construction activities. Verdur – Treats a condition called chlorosis. Chlorosis is a serious condition where a tree’s ability to manufacture chlorophyll has been compromised. Without sufficient chlorophyll a tree cannot make food for itself. Verdur stimulates the production of chlorophyll by adding iron or manganese. It can be used with Cambistat to address the problem long-term. ArborMectin – Is a systemic insecticide that is injected into the trunk of the tree. ArborMectin works on many insects including wood borers such as Emerald Ash Borer, Bronze Birch Borer and Clearwing Borer, Leafminers, the Forest Tent Caterpillar, Bark Beetles, Gypsy Moth, Sawfly larvae, Scale insects (soft scales), and more. This is our primary tool in treating trees for Emerald Ash Borer. ALAMO – Is a systemic fungicide used to manage Dutch elm disease by trunk injection. Dutch elm disease is a deadly fungus that affects primarily American and red elms. It is spread through root grafts and carried overland by beetles. Through the proper use of ALAMO we can protect elms from getting the disease. When dealing with elms in a wooded area, we are limited in what we can do, but it is still worth it to contact us to learn your options. PHOSPHO-jet – Is a systemic fungicide made from phosphorous acid that is injected directly into the tree’s trunk. It is used to treat Anthracnose (a common leaf disease of crapapple, maple, oak and other trees), Fire Blight in apple trees, Apple Scab, and Phytopthora. The phophorous acid breaks down into a compound that aids plant health by encouraging strong cell walls. Air Spade – Is a tool that we use to safely remove soil around a root system. We may use an air spade to check for stem girdling roots or decay around the stem and root plate, or we can safely remove or stir up larger volumes of compacted soil to amend and replace. The Air Spade is a tremendous tool in restoring and maintaining tree health and a unique Northland service offered by Levy Tree Care.